The admission price is $10.00 per set PLUS a 2 drink minimum. Originally from Youngstown, Ohio, Joe has moved around A LOT since leaving his hometown. He has spent time in Columbus, Ohio, then went off to see 6 of the 7 continents, and lived for a significant time in a small village in England. 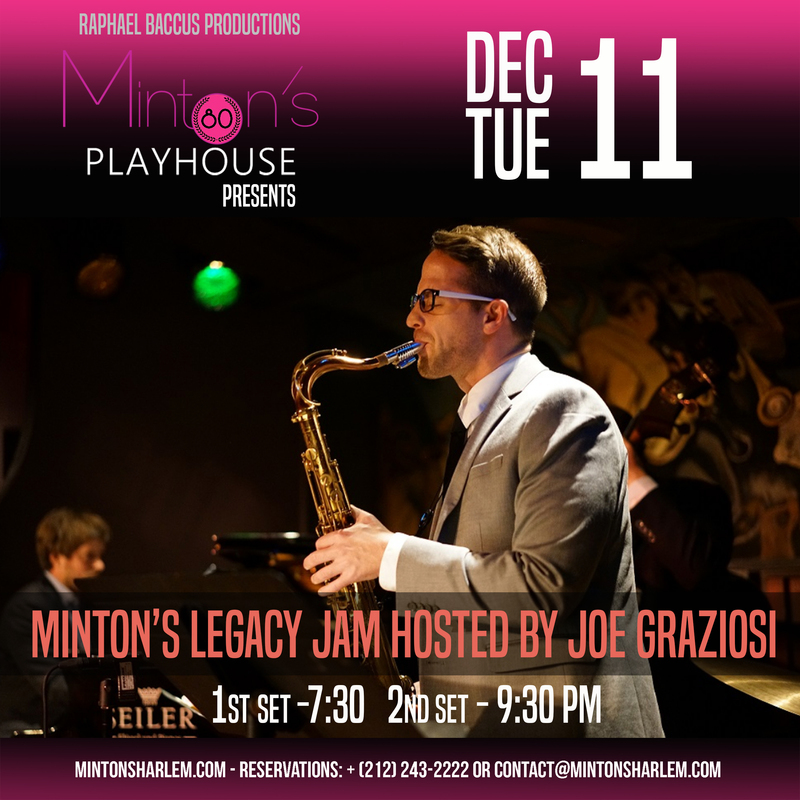 Joe now resides in New York City and has hit the ground running, leading his hot new group, “Quartet Smoke”, performing for the 2017 New York Musical Festival (NYMF), playing with some HEAVY jazz icons, and playing all types of music with some of the best musicians the world has to offer.